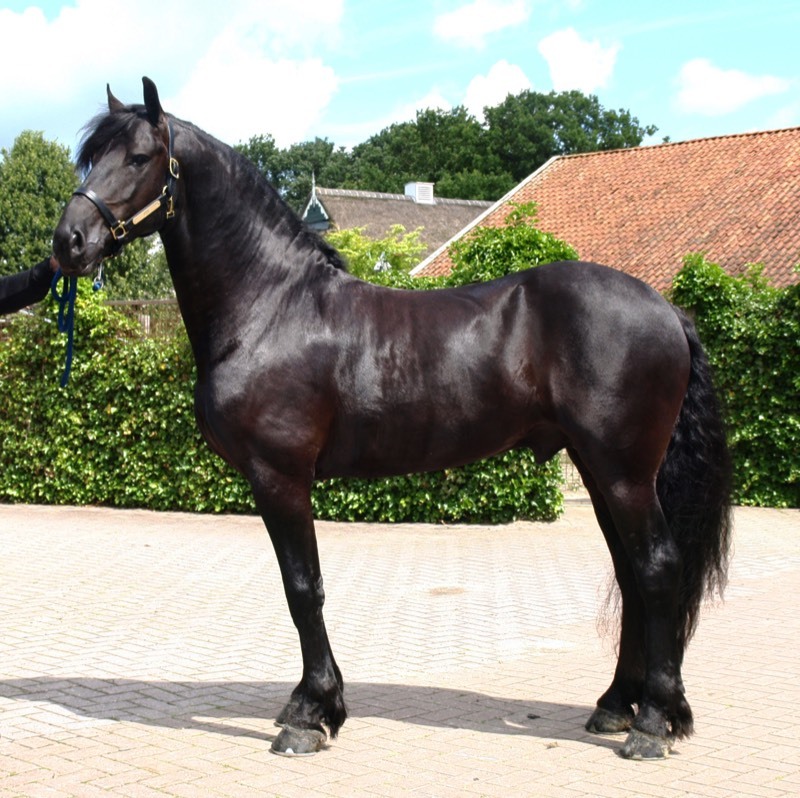 Exceptional mother line with all ster, ster-preferent, model or model-preferent dams. 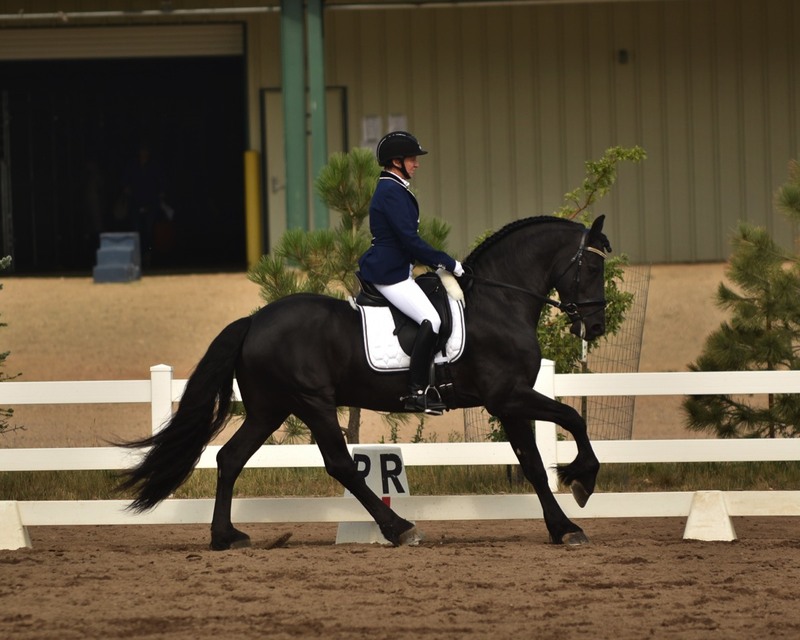 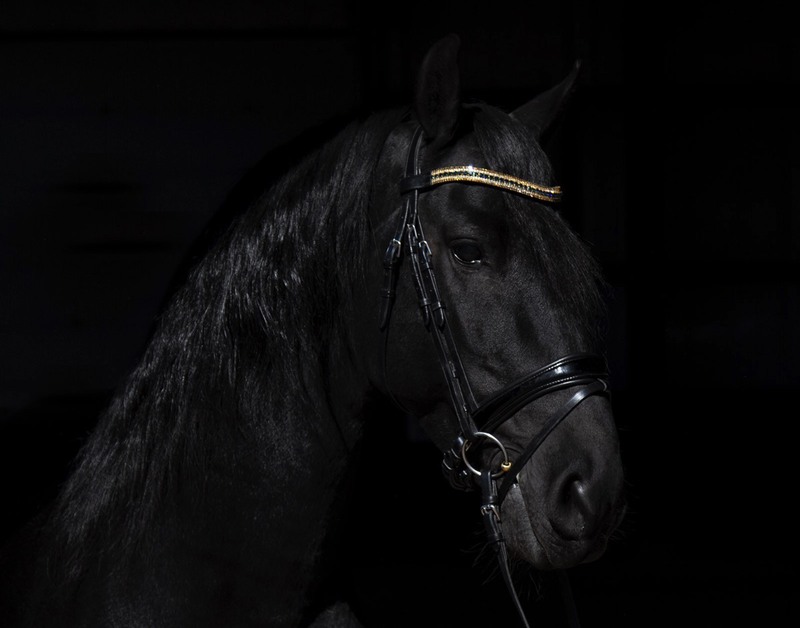 Elegant Friesian looks with the movement of a warmblood. 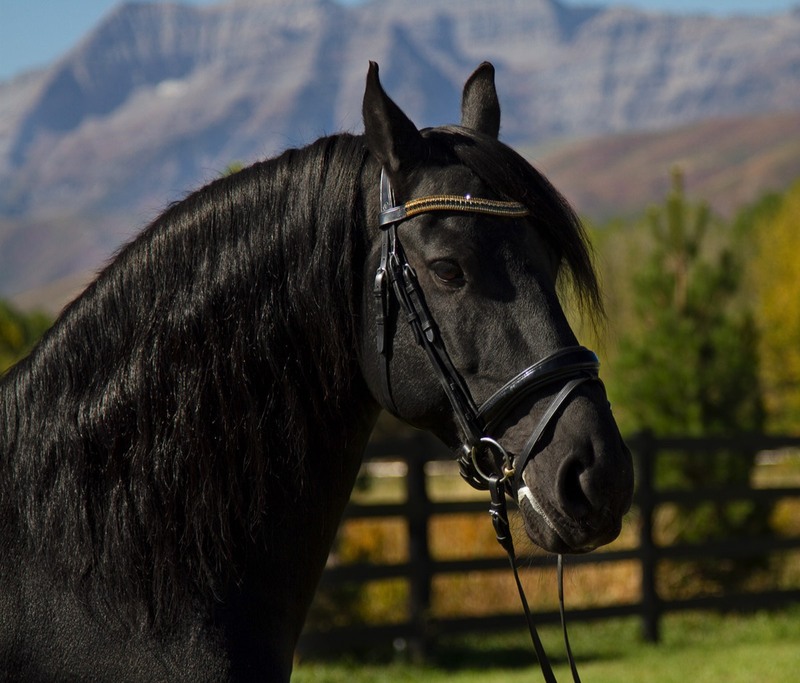 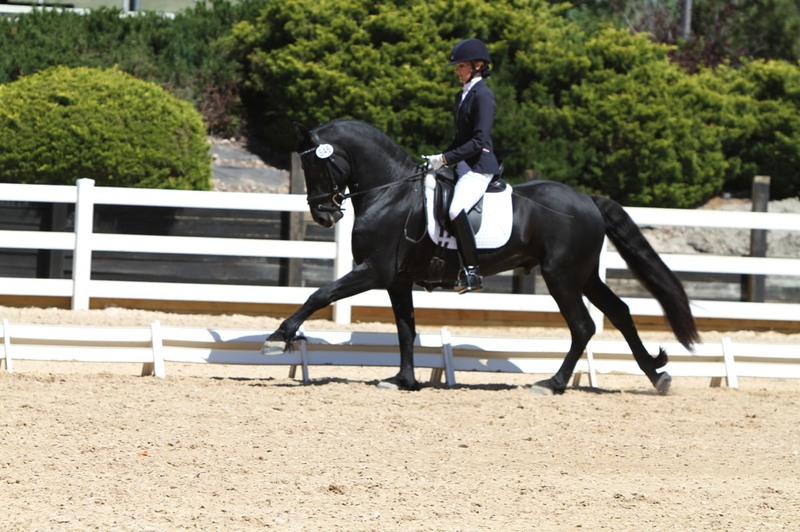 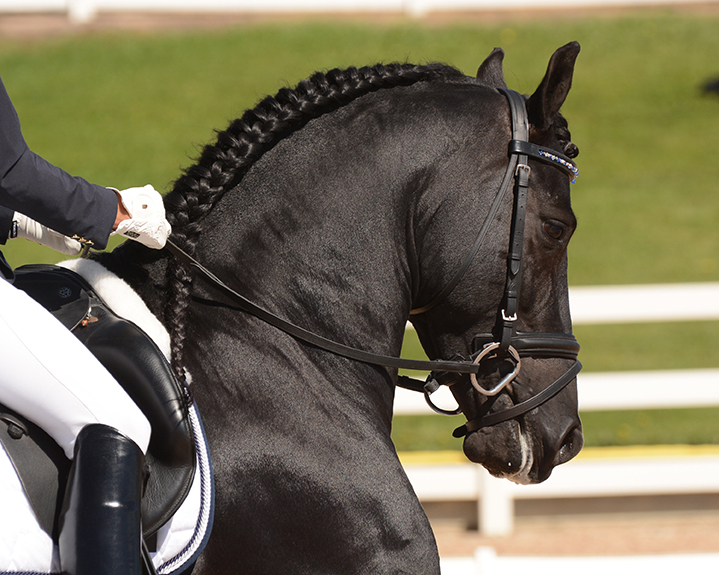 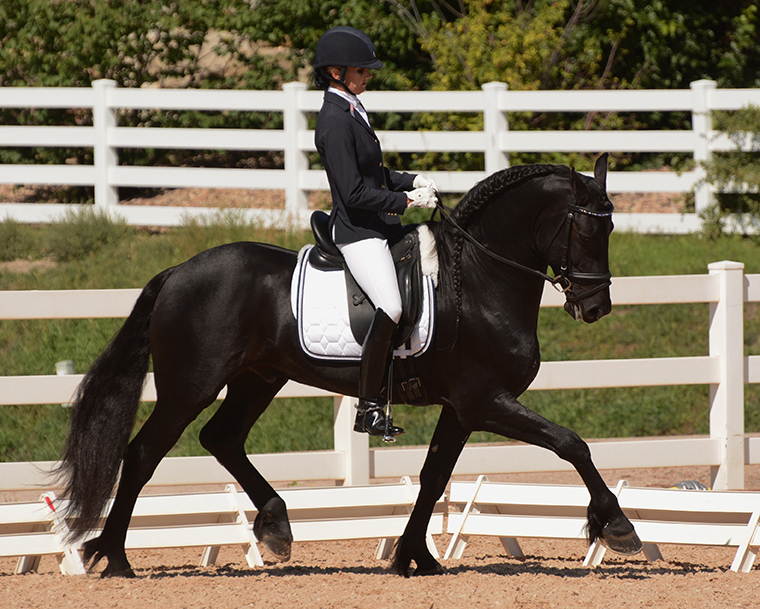 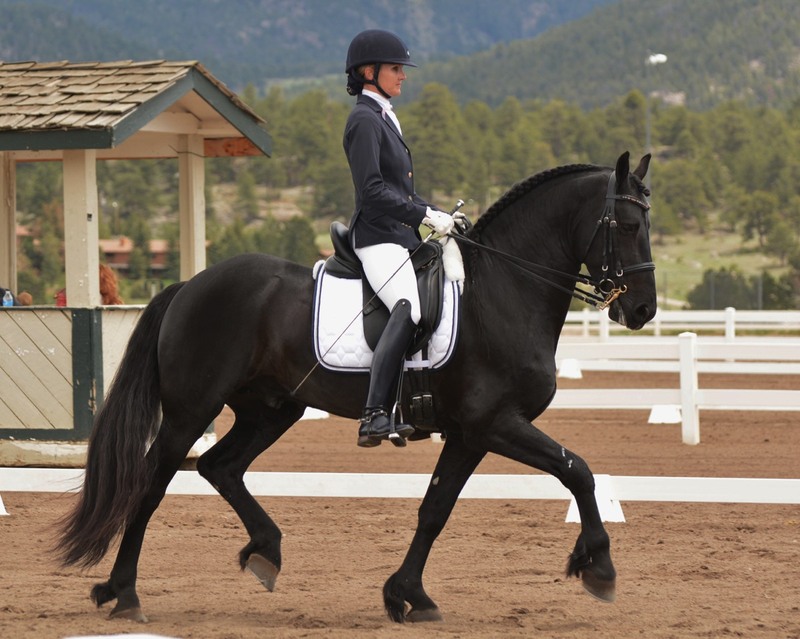 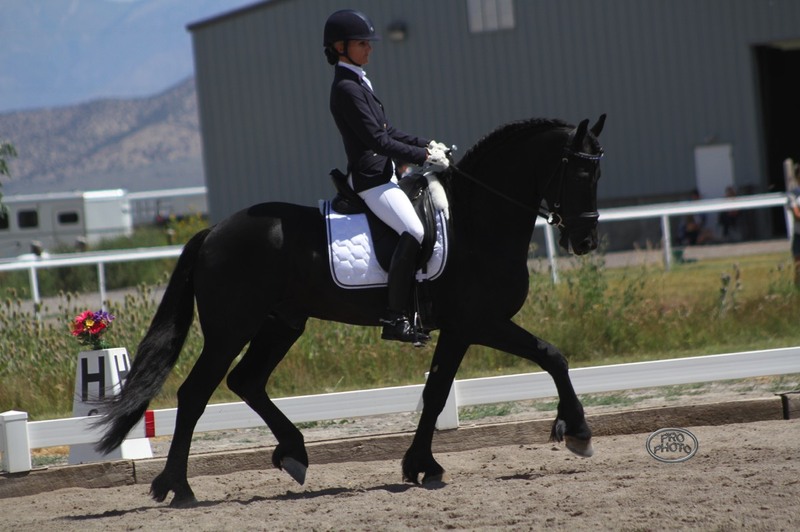 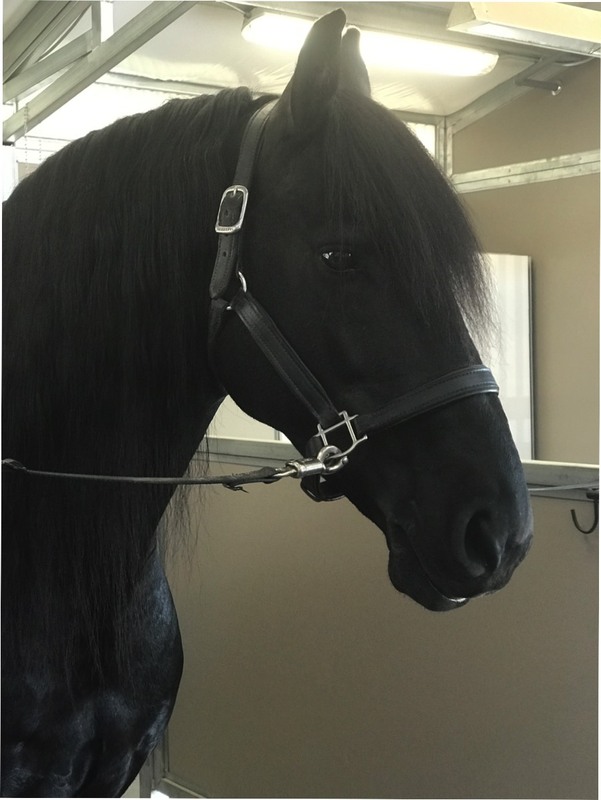 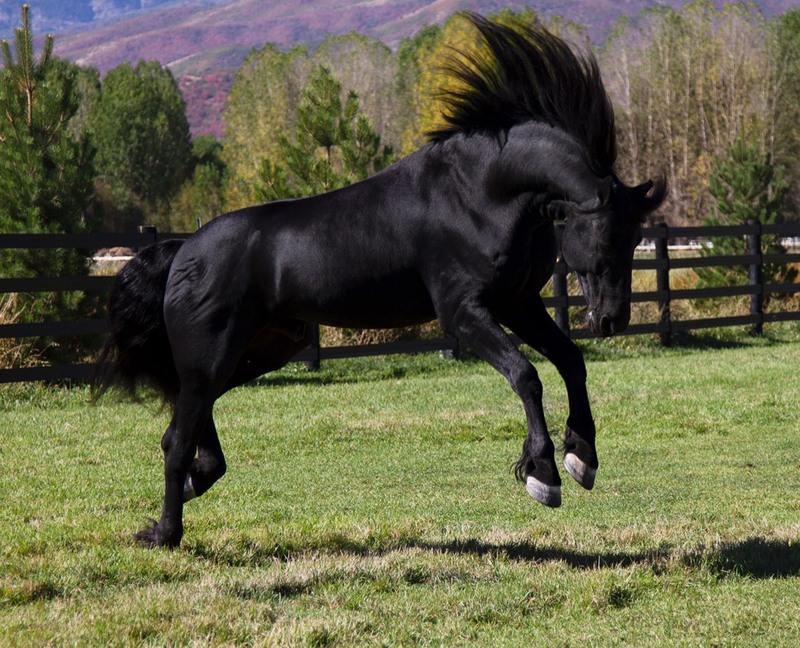 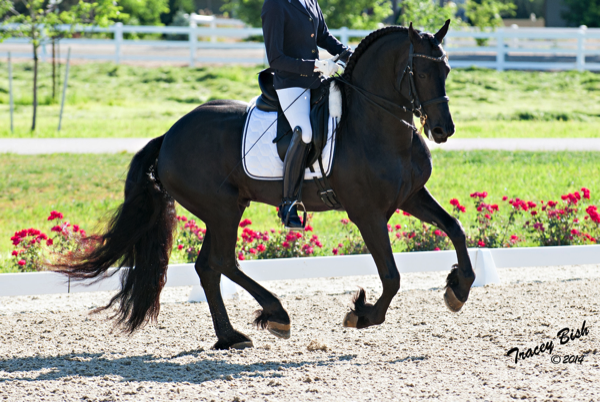 Ype is the finest example of the selective breeding of Friesians specifically for dressage. 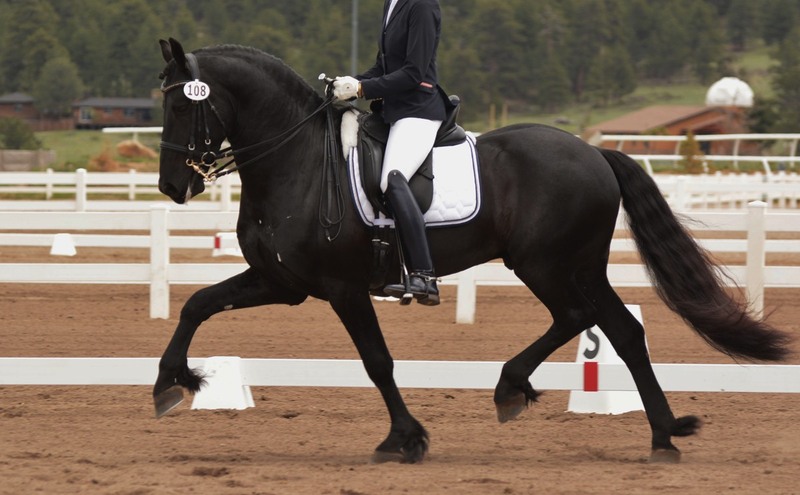 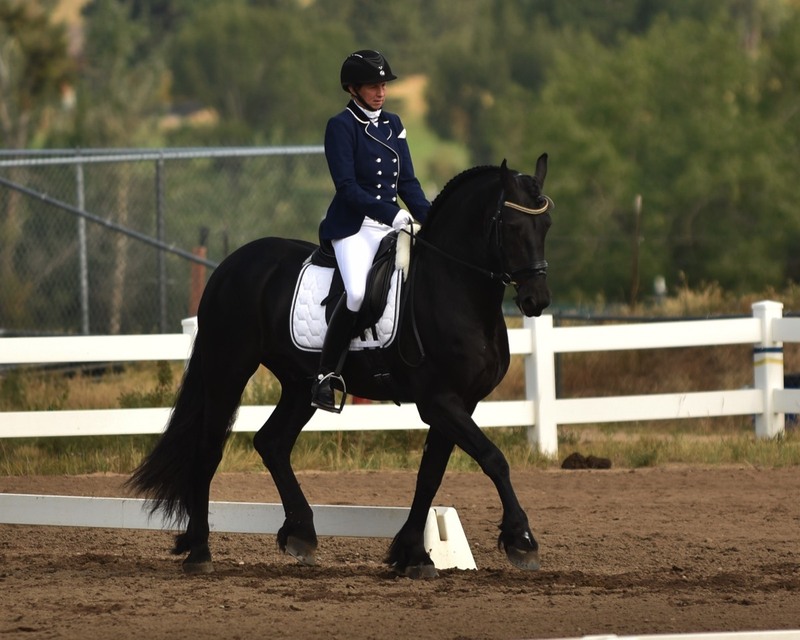 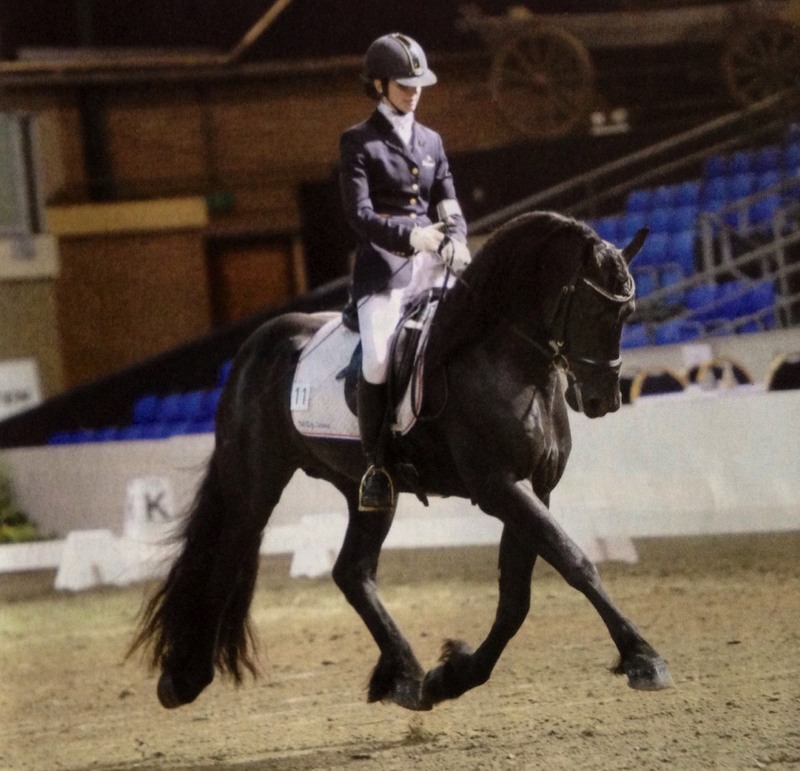 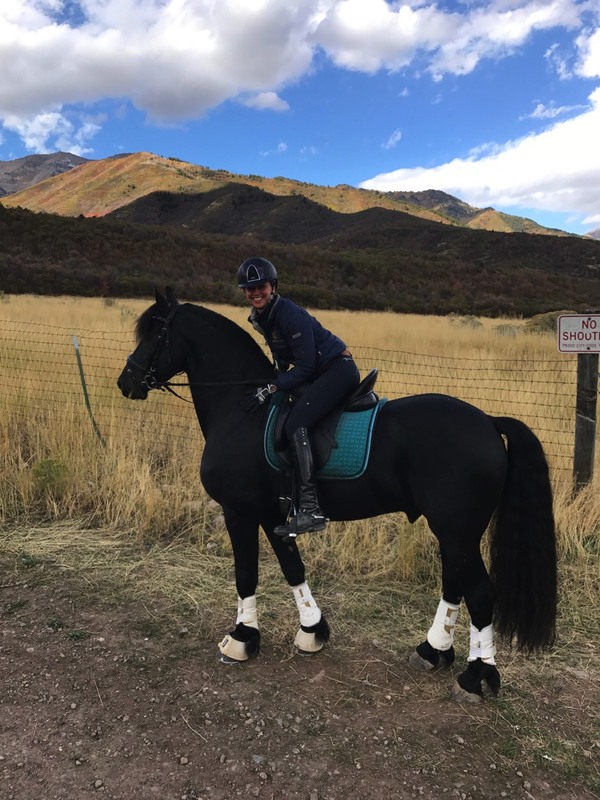 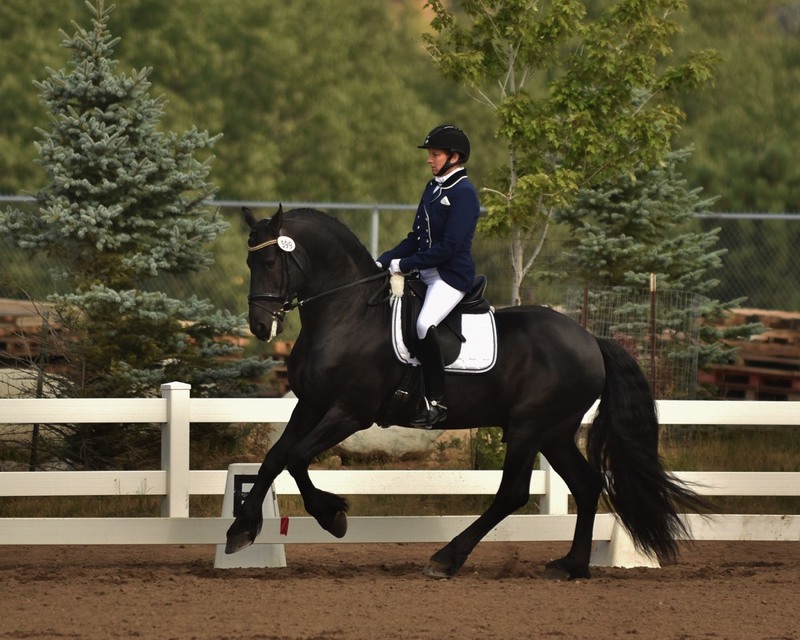 While many Friesians can do dressage, few make it to the highest level. 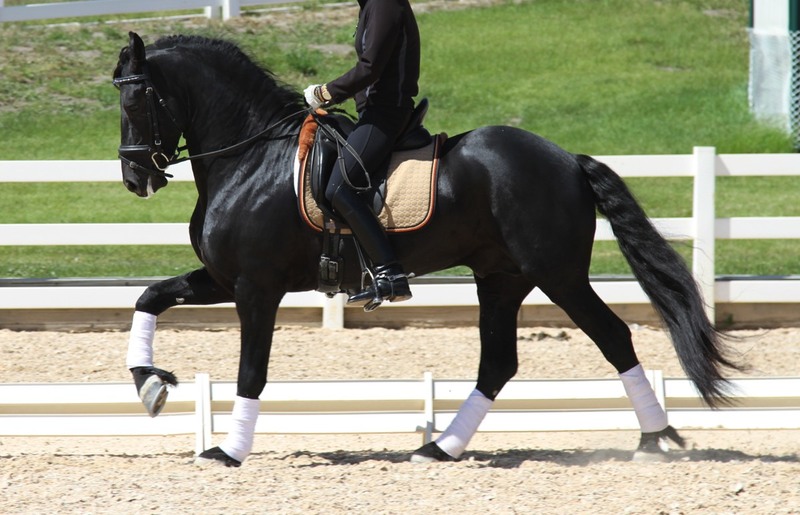 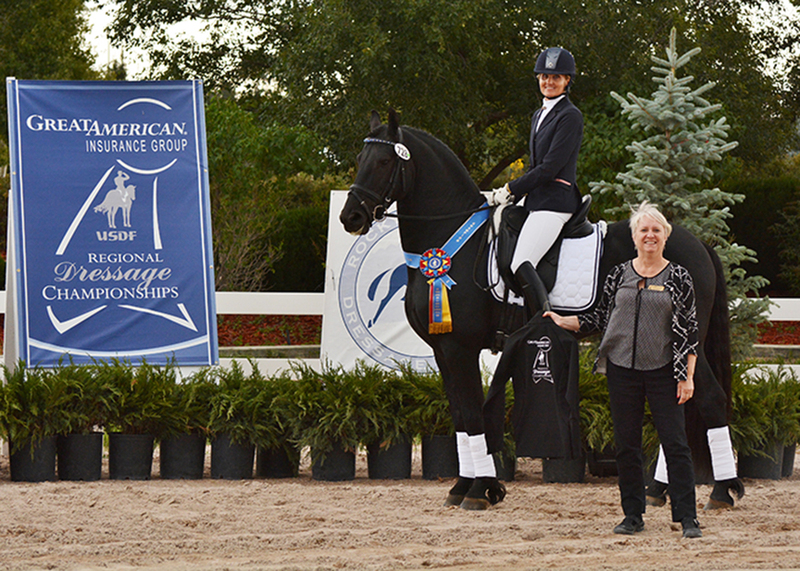 Ype not only possesses a magnificent trot, consistently receiving "9's" for quality, but also the cat-like walk of a warmblood and an elegant, uphill canter so difficult to find in the breed. 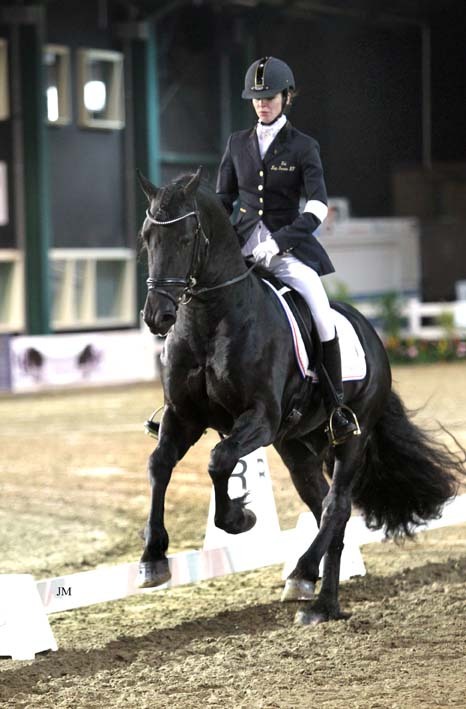 His short show career in the Netherlands was nevertheless very impressive. 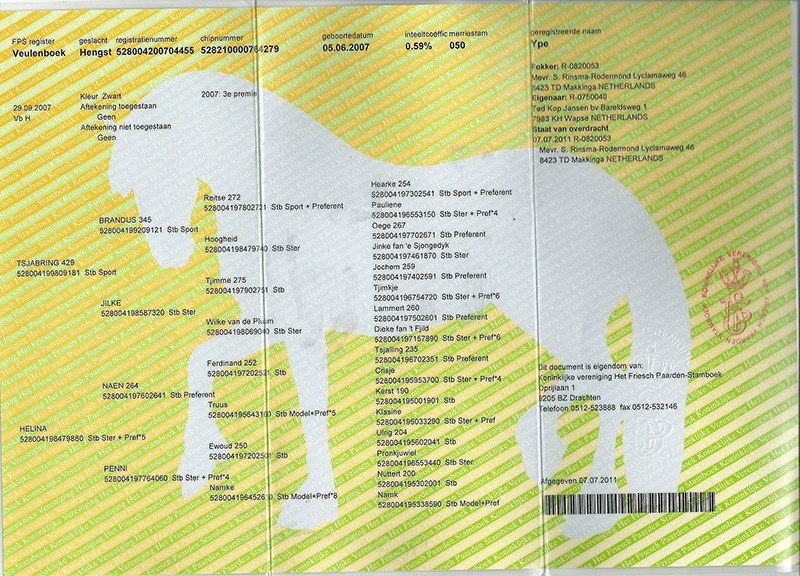 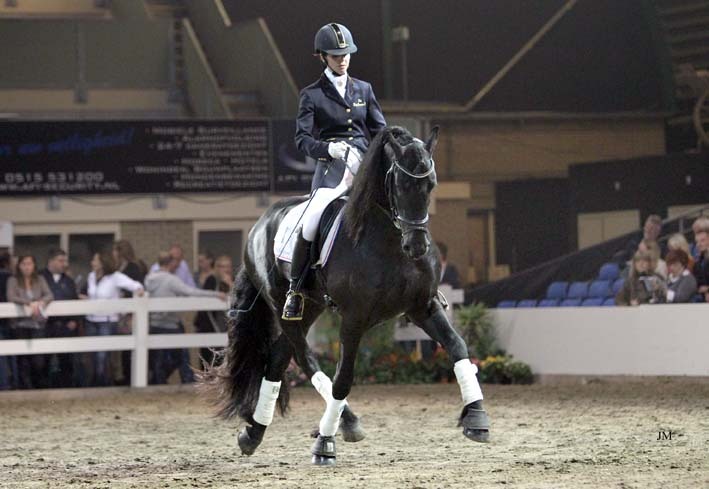 In Sept 2011, with only six months under saddle, he was the Dutch Reserve Champion with a 74.6%. 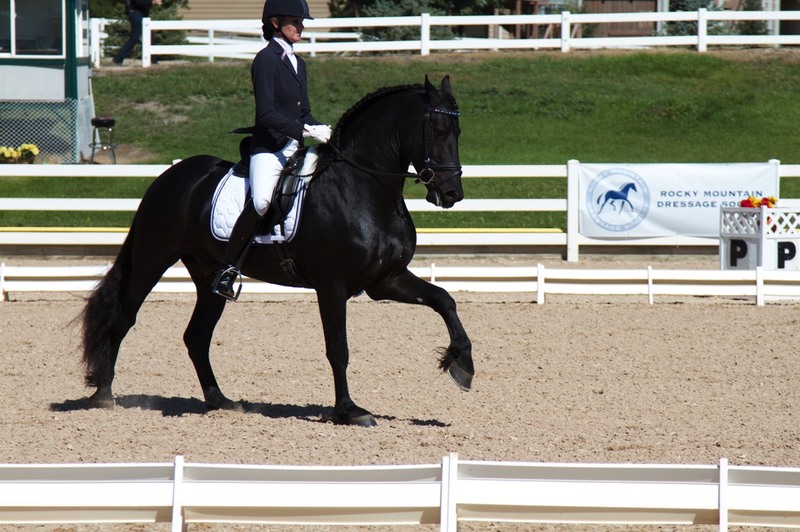 In Oct 2011, he was once again Reserve Champion with a 76.6%. 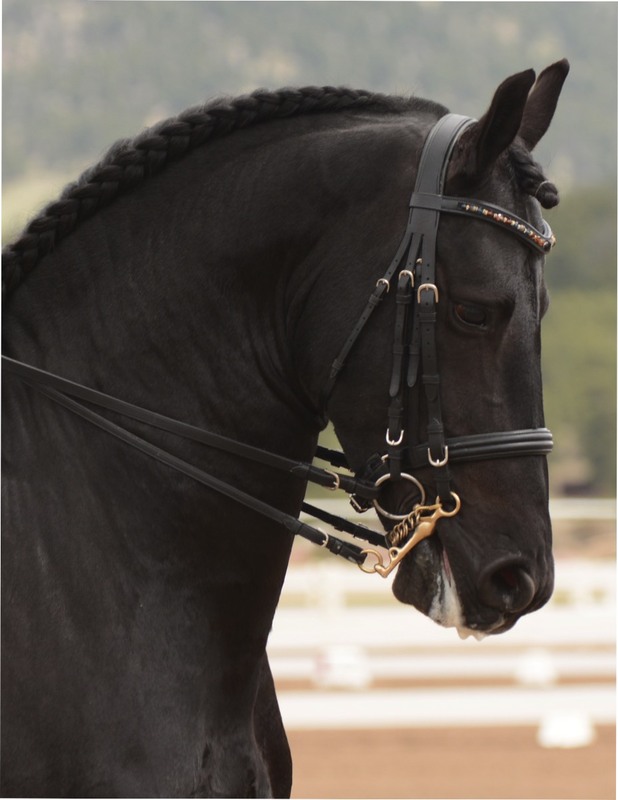 During the next competition he achieved the highest score ever earned by a Friesian in the history of the Subli-Cup Championships - 80.2%. 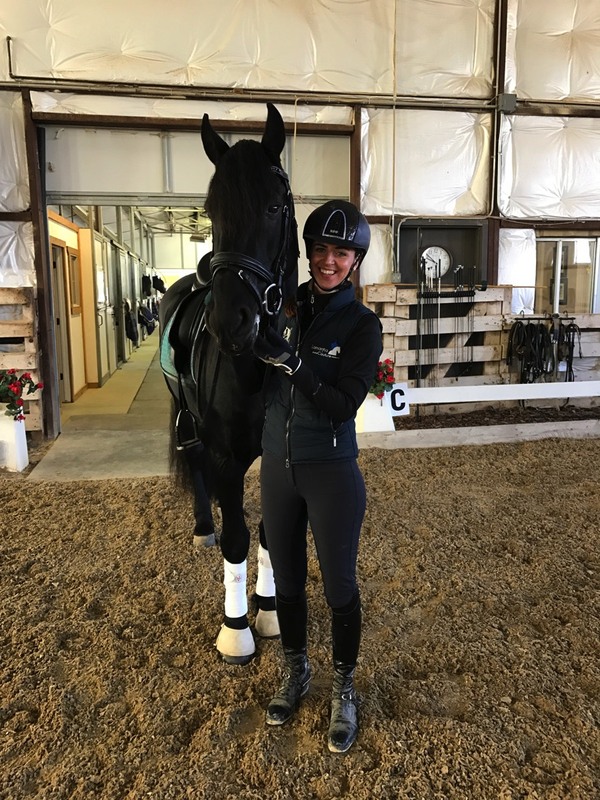 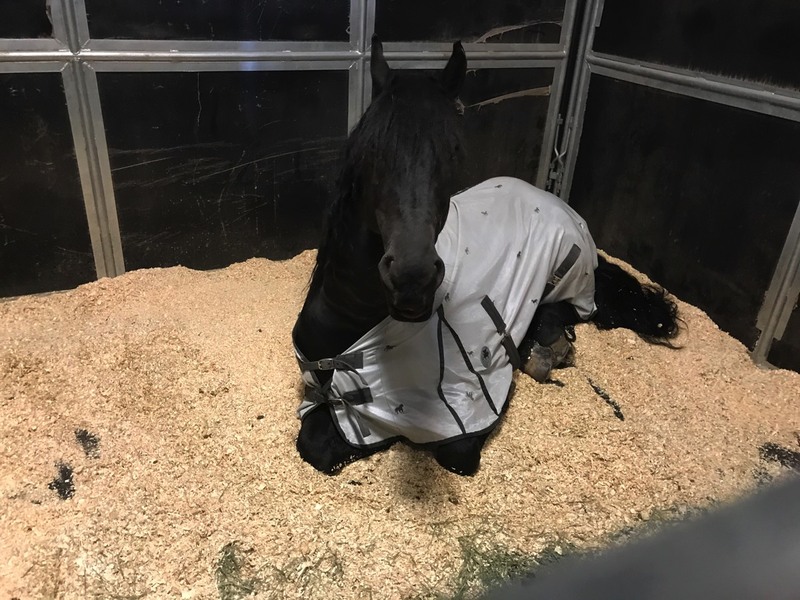 Out of 67 warmbloods vying for qualification for the top 20 spots in the Subli-Cup Championships, Ype held onto 6th place even though he participated in only three out of seven qualification rounds before being imported to the US. 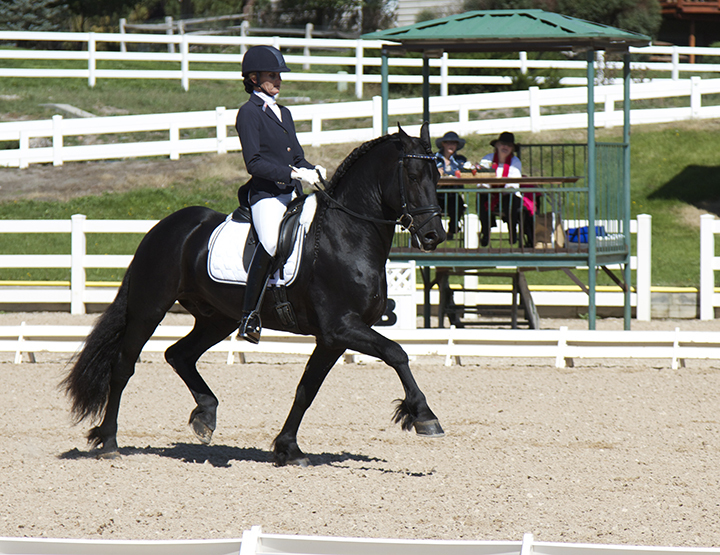 His USA show career debuted in May 2013 with a Championship win at 2nd Level with 72.2 %. 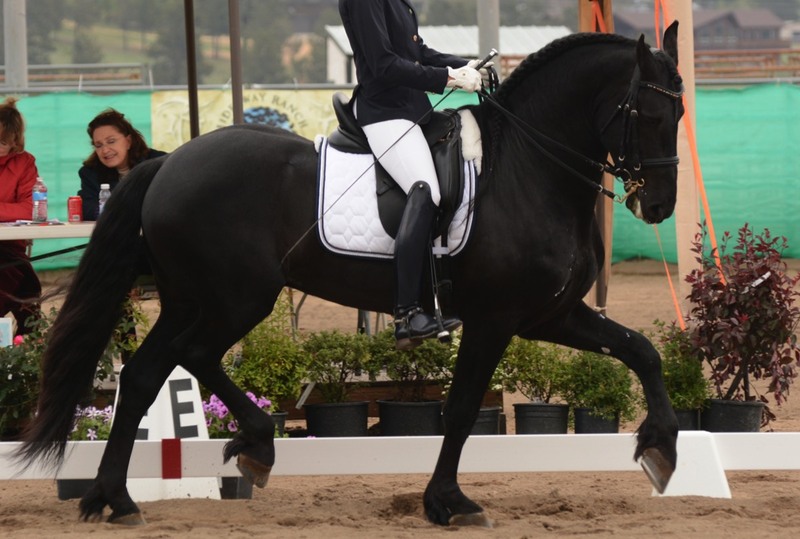 He continued his success with a nearly undefeated year at 2nd Level, winning 9 out of 10 competitions. 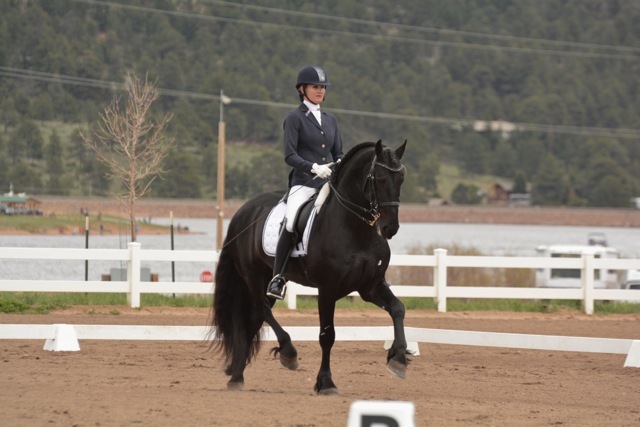 His scores at 3rd level ranged in the high 60's to low 70's. 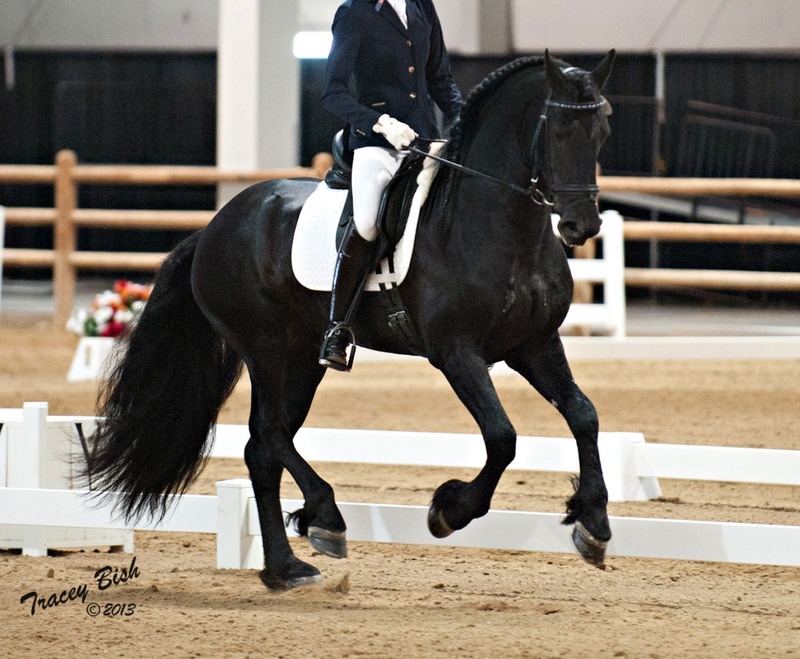 He is currently showing and training at fourth level and Prix St. George with scores in the the mid to high 60's. 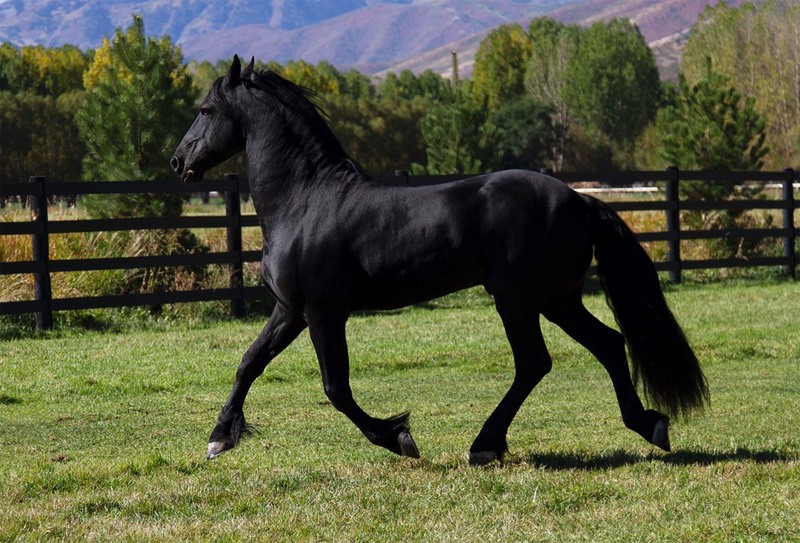 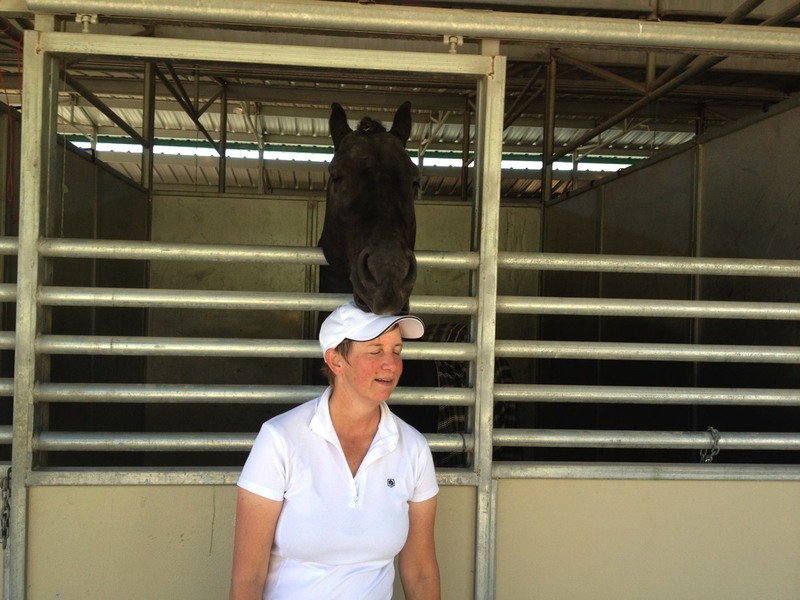 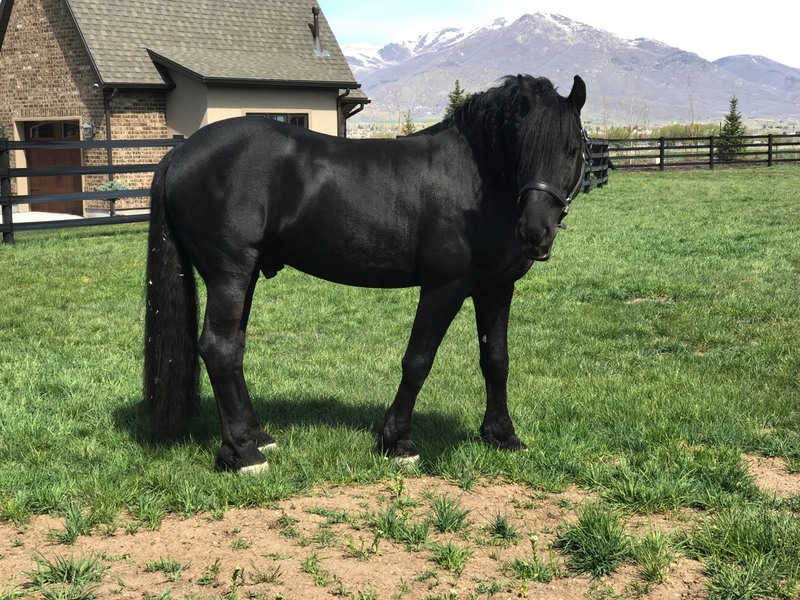 Ype has the trademark loving and gentle disposition of the Friesian. 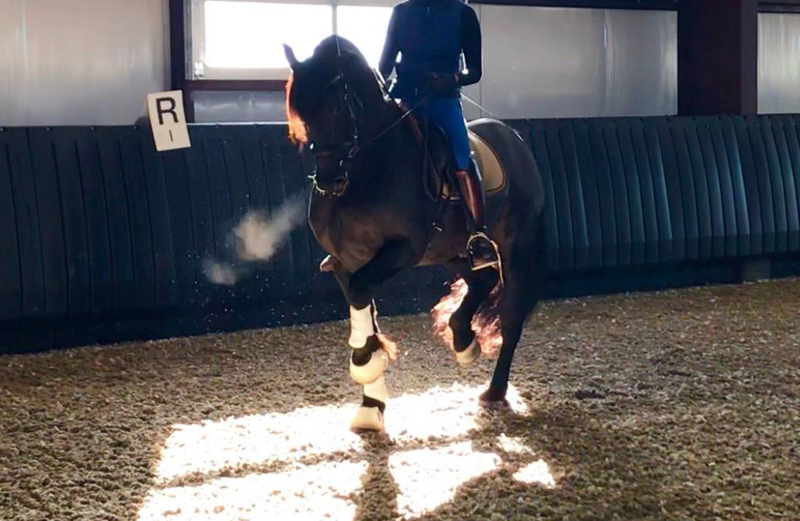 He is exceptionally smart, very willing and hard working.